Our blog’s guest business writer Tano Rebora of Icon Business Solutions, shares more of his advice! Recently talking with one of our clients brought to mind one of the thorniest subjects ever associated with sales, that of ‘discounting’. Now sure, every client wants the best deal that they can get but why is it always on price? If your offering is all that it is cracked up to be and you have been in business for a while then, surely, your pricing is appropriate, isn’t it? Or is it? It may be that your competition has crept up on you. Then what is your differentiator? Does your product now reflect your client sectors requirements at the level that it did? Who, exactly, are your clients? Is the sales force being aimed at the correct client profile? If the answer to any of the above is a resounding no, then it may be time to refocus on who your ‘ideal’ client is and what, exactly, makes your product or service so distinctly different. In this case, however, analysis brought us to a different conclusion. In order to be at most service to your clients the sales force, whoever few or many these may be, must have knowledge of the businesses that they serve and be prepared to put in the effort to understand what the real issues that these clients face. What they need and want. Without this effort and the expertise necessary to develop this relationship and the product then the offering will be a “so what?” and be subject to the competitive “me too and cheaper”. In our opinion, so many businesses suffer eroding profit margins and customer base without analysing the why. Make time – gather the appropriate information and review in light of the above. You’ll be surprised by what you will find and what a difference this will make to the health of your business. Icon Business Solutions is a Global organisation that is focused on working with Owner / Managers of SMEs to help them become more profitable, reduce their time commitment and achieve their business and life plans. Tano Rebora is a partner of Icon Business Solutions and an experienced Business Adviser, as well as the Seven Creative blog’s guest business writer. Today, Tano asks: Is your competition hurting your profits? I am referring to Vodafone making a successful bid for the Cable and Wireless business. Well, I guess that those within the sector long term or keen watchers may have had an inkling, but most business people, across the board, that I have discussed this with did not see it coming. Is this a potential future threat to the almighty BT? Yet the Vodafone strategic vision is very clear: ‘delivering a more valuable Vodafone’ through five clear directions amongst which – ‘total communications: continue to develop the adoption of converged fixed and mobile services’. We should have known, really. There we are; a clear strategy, clear direction and clear competitive positioning which has taken it out of a very clear niche that other mobile suppliers are competing in. Whilst ‘the pack’ is racing around to be ‘the best’, Vodafone has moved the goalposts. Joan Magretta of the Harvard Business School defines Michael Porter’s view of Competitive Strategy as ‘why being unique is better than being best’. So what makes companies across the spectrum – ‘unique’? Many owners/ shareholders believe in having organisations that are ‘agile’ and ‘flexible’. Of course, they are completely correct. Who wants an organisation that already has a ‘due by date’ from the beginning? Organisations must evolve in order to achieve. But note the use of the word, evolve. It is the duty of any executive team, from the start-up to the corporate, to establish a vision of what their company is to achieve in the longer term, not simply the next six months. With that comes a clarity of product/ service to be provided, to what market and in what timescale. Planning for all other functions follow that. Stephen Covey, in his ‘7 habits of Effective Managers’ advocates starting with the end in mind but – how does business generally measure up. In the eyes of this author – poorly. If this is the case then competitors will always lead. Many Owners start their companies with clear ideas of where they intend to be personally at some future point. Of course, as the inevitable pressures start the line between what the intended market is and who seems to be interested in the products/ services the lines become blurred. It does happen that may some start with a perception of the market they intend to serve only to find that the perceived market does not exist, is already serviced by potentially competing products or barriers to entry are higher than first thought. It is easy to deviate from the plan at that point, maybe it’s time to go back to the drawing board and to refocus. Does this just happen to ‘newbies’?. Many companies find that the mismatch within the first to second year of operation, some struggle with this for eternity, it seems. The questions to ask are basic: What is our product? What market does it serve? Complete and total focus: find the real niche and serve that to the exclusion of all else. If the market does not seem big enough to serve the needs then expand geographically. Reorganise into different divisions: serve differing markets with the same or slightly differing products under the same ‘umbrella’ or brand thus being able to measure the effectiveness of the sales/ marketing effort and maximising synergies. In most cases, it seems clear that few ask: Who is our Client? In B2B scenarios: is it the M.D., the HR Director, etc. etc ? Appropriate messaging should ensue as should appropriate direction of the sales effort and product bundling. Although most business owners may believe otherwise, there are relatively few Steve Jobs, Bill Gates, Sir James Dyson or, at a different level, Sir Alan Sugar or Richard Branson. The fact is that, for most companies, someone somewhere has a product that is similar. If not, there soon will be; the cult of the ‘me too’ has been alive and kicking for many centuries. Many business owners/ salespeople claim to ‘experience in the industry’, ‘best product’, ‘geographic availability’, ‘best client service’, ‘24/7 cover’, add your own here. The list is endless. Yet sadly, so often in this quagmire of similarity it all boils down, at least in the buyers mind, to – how much does it cost? Of course, it is very easy to make these statements from afar and not see the ‘day to day’ battlefield that we all operate in. Frequently, as company leaders struggle to work ‘on rather than in’ (Michael Gerber – The e-Myth) the race seems to be centred on ‘price’ as the ‘holy grail’ of client acquisition policy. But so many factors contribute which are, somehow, left behind in thinking and practice. Why is your company unique? How is it demonstrably different? Ask the question repeatedly because if there isn’t an easy answer then how is the prospective client to know? More importantly, how will they justify the price to themselves? Dramatically, the euphoria of the acquisition of a new client is quickly superseded by the misery, on reflection, of a diminished profit margin. Yet how many Company owners really know how much they are able to discount without bleeding funds to a very nasty conclusion? Competition is, and will always be, alive and kicking. Encourage competition; make competitors your ‘allies’. After all the more activity in a marketplace the more opportunity there is. Just make sure that the product and the service the Clients want is yours. Why: because you knew what they wanted and you are strategically building a company that provides this in a more demonstrably different way to everyone else. 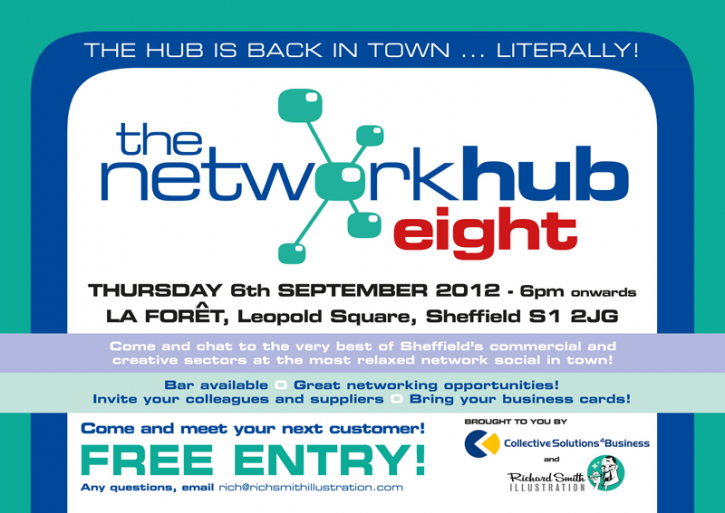 The Network hub is my favourite of the regular networking events around Sheffield and the date and venue for the forthcoming eighth outing has just been announced. La Foret Wine Bar, Leopold Square, Sheffield S1 2JG on Thursday 6th September 2012 from 6pm till close. This is your invitation to come and meet your next customer at the most relaxed business social in the region. It’s still free and our regular attendance has been from 60 guests upwards! Bring your business cards, flyers, colleagues and enthusiasm – no pressure, just a desire to socialise with the added bonus of making good, solid business contacts. Never mind the recession – this one just keeps growing. Simply turn up! 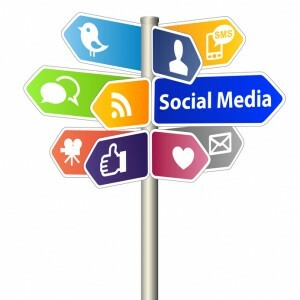 Take a look at our discussion group on LinkedIn and find out what everyone’s been talking about!